Globalization is a fact that everybody is dealing with, everyday : we use products exported from other countries, we benefit from technologies invented overseas, we speak other languages and most of all: we are aware of things happening miles away from where we live, even in other continents. The means were there, K-Pop Hallyu had just to ride the flow and make good use of these technologies. 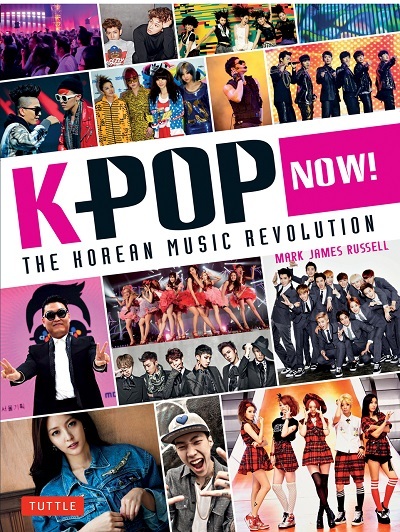 But, there are many other kinds of music in this world, what distinguishes K-POP so much that it is taking over the world? Why does the Hallyu wave have so much success overseas, in Europe, in America but also in the Arab countries? First of all, language is not a barrier at all. Music is, in the first place, about melody and rhythm. If those are engaging and interesting enough, the language sung is not an obstacle. Examples of this are numerous: “Ai Se Eu Te Pego”, the Brazilian hit that swapped all the world in just few days, Psy’ Song “Gagnam Style” which became the most viewed Music Video in the history; to name a few recent cases. The rhythm is the first thing that draws people’s attention; the lyrics come later on… if there is enough interest. In the case of K-Pop, the rhythms vary from one band to another (sometimes even for the same band) so there are kinds of music to cater for everyone’s tastes. The hit songs are mostly Rock or Techno and House (since this is what the younger generations seem to like more nowadays) but there is really anything: ballads, rap, pop, jazz, etc. Besides that, the music industry (well let’s call things by their actual names) doesn’t only rely on the rhythms. There is a combination between: good music, good-looking artists and dance moves. If you can’t sing like your idols, you can at least – try to – dance like them. This trio (music, dance and good looks) are only the first things that attract the attention: they are a huge part of why the Hallyu wave is so successful but this is not the whole facade. The industry also counts on the idols’ personalities. They are not called “idols” for nothing. Through multiple appearances on variety shows and also setting a profile for each artist, they give the audience more than the music they sell: they show their true personalities, their talents (other than singing, dancing and playing musical instruments), give hints about how they live outside, in the real world or how their childhood was like. Furthermore, they portrait various personalities: manly guys, cure girls, independent women, innocent boys, …. As a result, everyone has a role model to look up to or an idol that they can relate to as “having the same traits of personality”. Moreover, when there is a competition between idols or a face off of some sort, the fans always ask for help by stating “let’s support our favorite idols”. Buying album copies, goodies, going to events and concerts is not only about enjoying their time as much as it is about supporting their idols, and showing them their unconditional love. Besides all that, the Hallyu wave also has a solid cultural basis. Fans don’t only discover a new kind of music; they are also drawn into a whole culture. Korean idols don’t hesitate to show how much they love their country and that they are proud of their cultural heritage; be it through music videos, entertainment shows and even dramas. This goes through the display of the Hanbok, Hanok, food, important landmarks and historical background. The Dramas and the TV shows are more active in these aspects. However, each culture is different from another and every country has its own particular aspects. The Hallyu wave managed to show that this difference in culture constitutes its richness and its “competitive advantage” over other musical waves. Lastly, the other point that makes the Hallyu wave more effective is the values! Through watching the idols and K-Dramas, fans also witness the values that stand by the whole country: respecting others, paying more attention to the elderly, valuing each other’s professions, etc. This is personally what made me more attached to this culture. Fans can see for themselves how these values are respected, despite the situation they face, and that values come first. Truly, this is something that is starting to be missed in many countries and seeing that it is still valued in South Korea calls for everyone’s respect and consideration. To sum up, Hallyu Wave relies on many factors that, mixed together, give a winning combination: with sounds that appeal to a large group of people but without being too mainstream, dance moves that call for attention, promoting the cultural richness (food, language, clothes and history) as well as sticking to the core values of the nation. As far as I am concerned, the values and the rich culture are what drew me to appreciate this music but also gave me the motivation to always seek more information about the country. However, seeing how some fans are getting obsessed over the K-Pop phenomenon or anything related to South Korea makes me wonder if there is a chance, that these people may someday forget about their identity, while seeking to look and act like their idols.